Celebrity Dirty Laundry is giving away ten pairs of tickets to the premiere of the Maple Pictures film Servitude at Just for Laughs in Montreal, Quebec Canada tomorrow July 28th, 2011. The film directed by Warren P. Sonoda and written by Michael Sparaga follows a group of frustrated waiters who band together and take over their restaurant for one glorious, revenge-filled night, after they discover that they are all about to be fired. TO WIN: Send me an e-mail ASAP to celebritydirtylaundry@gmail.com with your name and the name of the person who will attend with. 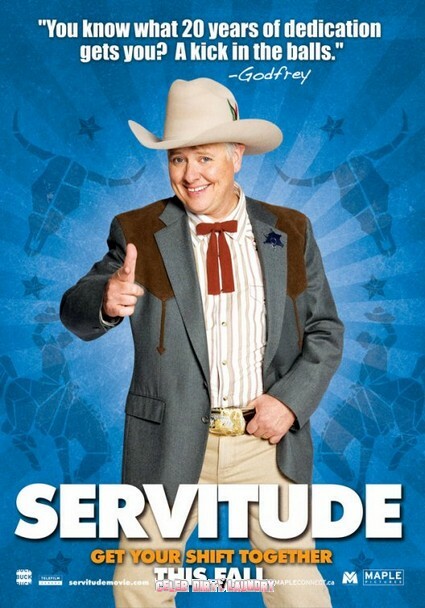 Just For Laughs presents the world premiere of Servitude (Maple Pictures), the first film to be produced from the Telefilm Canada Features Comedy Lab, a CFC Film program, in collaboration with Just For Laughs. Alexander Skarsgard and Kate Bosworth’s New Film Straw Dogs Out Soon – And Looks Pretty Good!